Vietnamese New Year is the most important Festival of the Vietnamese people. When Spring arrives, all Vietnamese are thrilled by the advent of Tet. Wherever they may be, they feel an immense nostalgia, wishing to come back to their homeland for afamily reunion and a taste of the particular flavors of the Vietnamese festivities. 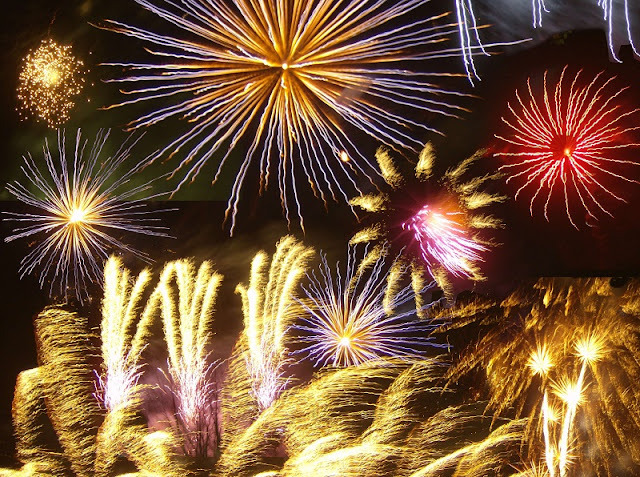 This period begins one or two weeks before the actual celebration. 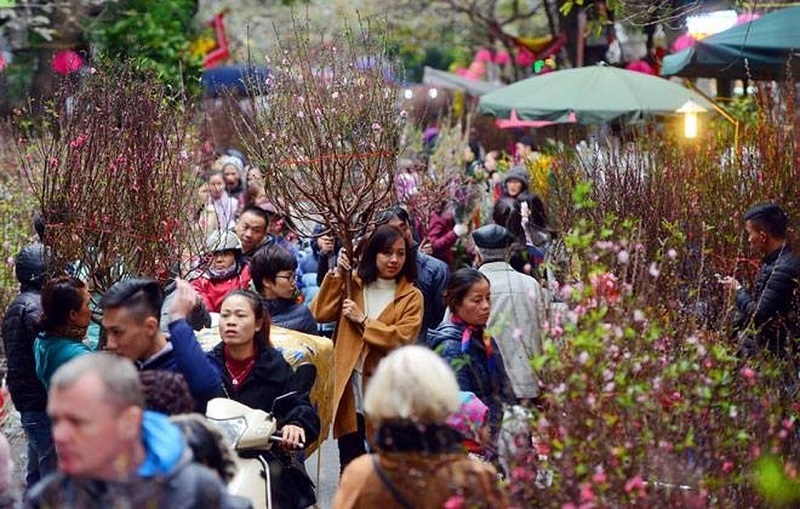 The general atmosphere leading up to Tet is in the bustle of shopping, decorating the home, cooking traditional Tet food and waiting for relatives to return home. People try to pay off their debts in advance so that they can be debt-free on Tet. Parents buy new clothes for their children so that the children can wear them when Tet arrives. In the days leading up to Tet, the streets and markets are full of people. As the shops will be closed during Tet, everyone is busy buying food, clothes, and decorations for their house. >> How was the Lunar New Year in Vietnam? Vietnamese families usually have a family altar, to pay respect to their ancestors. 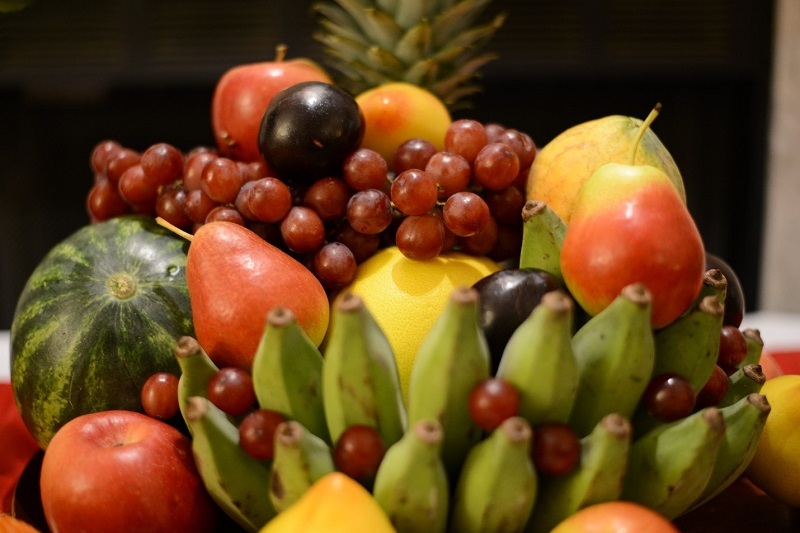 Vietnamese families have a tray of five different fruits on their altar called “Ngũ Quả” (five fruits type). During Tet the altar is thoroughly cleaned and new offerings are placed there. Traditionally, the three kitchen guardians for each house (Ông Táo) (Kitchen God) return to heaven on the 23rd day of the twelfth month by lunar calendar to give his annual report on family members to the Jade Emperor. Their departure is marked by a modest ceremony where the family offers sacrifices for them to use on their journey. 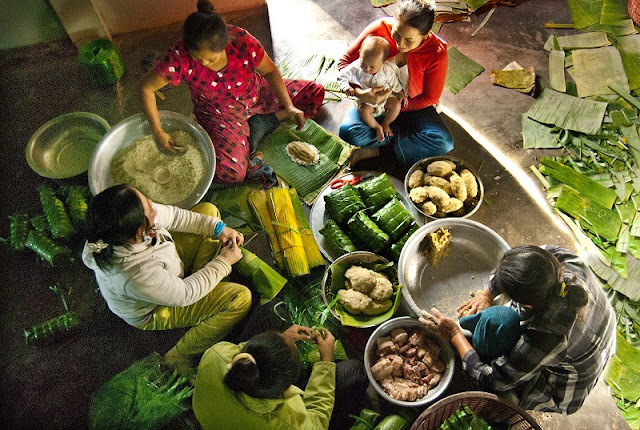 In the days leading up to Tet, each family cooks special holiday foods such as bánh chưng and bánh dầy. Preparations for these foods are quite extensive. Family members often take turns to keep watch on the fire overnight, telling each other stories about Tet of past years. One of very popular traditional food in Tet is Mut (candied fruits) which is not served in the meals but a snack to welcome guests visiting house and always kept in beautiful boxes and placed at the table in the living room.